You want quiet and custom? You’ve got it. 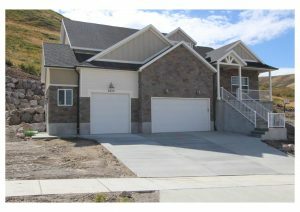 Beautiful, brand new custom home in the foothills of Herriman. You want quiet and custom? You’ve got it. This home is ready for you, featuring double ovens, gas cooktop, great room, fireplace, master on the main, gorgeous finish work and the list goes on and on. Come and see today before it is gone!